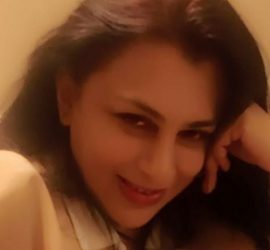 An oculist, child psychologist & clinical hypnotherapist, Mariam Aftab, earned herself recognition in a short span of time nationwide for amazingly accurate tarot readings. But there is more to her personality than psychic abilities. She has crossed psychological counseling with tarot reading. She has devised a post modern deck and currently the only person in the Indian sub continent to have knowledge of the eastern deck with focus on eliminating mental, emotional and physical blockages restoring the well being of client through different exercises including meditation. She is also an author of a book on tarot interpretations and successfully completed another ready to be published. With so much already on her plate she still manages to regularly write a column for English Daily. She has degree in Child Psychology and is a clinical hypnotherapist. Mariam Aftab along with her sister Dr. Aaliya Aftab, a psychologist is running a one-of-its-kind healing centre in Pakistan, Mariam Healing Centre. Once Mariam realized that she can use her gifted ability more constructively, Mariam healing centre was born. Not only does it provide diagnostic services, but their foundation on Bedian Road in Lahore gives pro-bono help to the distressed. Men, women and children who have experienced trauma or marital or familial discord can use the center free of charge. For an Appointment and Meeting contact us today.